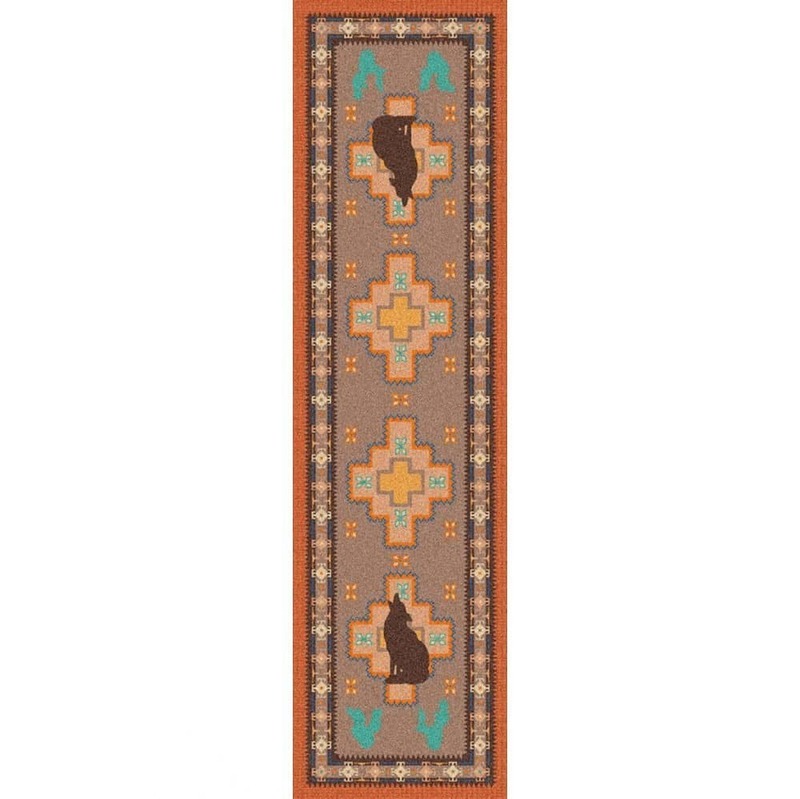 Coyotes Southwestern Area rug by American Dakota is a design from their specialty collection. American Dakota brings a more refined style with this collection. 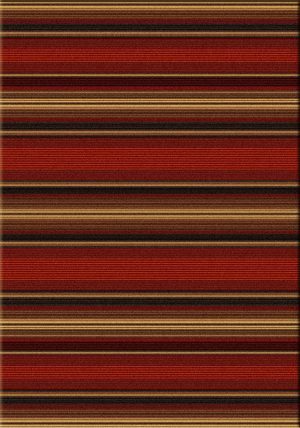 The company makes commercial quality rugs. 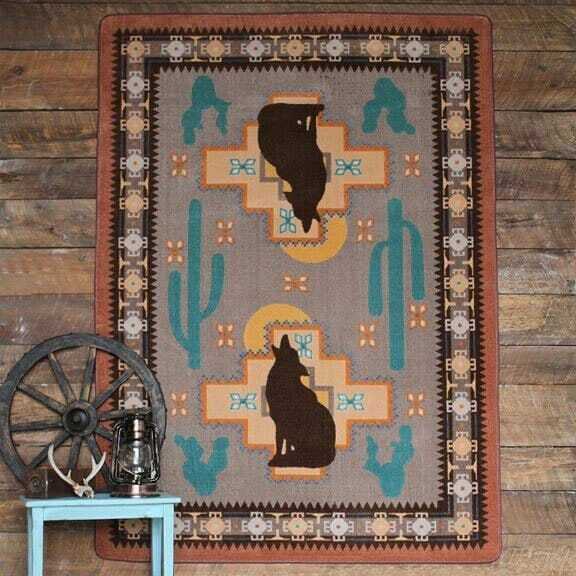 Their collection includes rustic, Southwest as well as trendy designs. We have many styles available on this website. 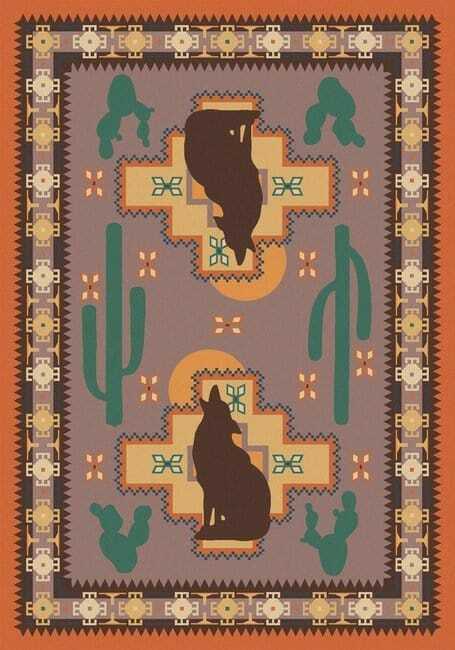 Coyotes Southwestern area rug will bring the desert to your home. 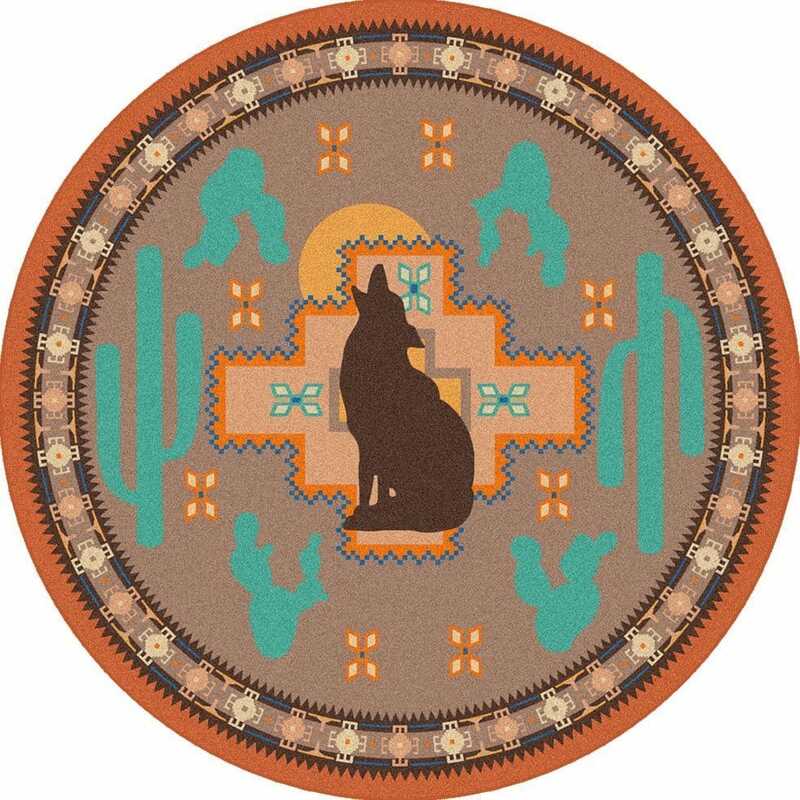 Howling coyotes and cacti come together to create a fun area rug. The background is a lovely dusty rose that will look perfect in farmhouse, shabby chic or modern interiors. And with 6 sizes to choose from, you will find the one that fits your need. The style is also a favorite for teenage girls. 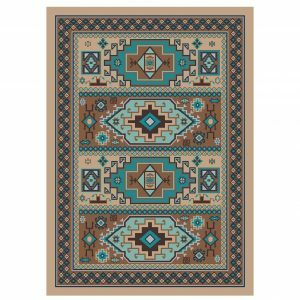 For a bedroom, the 3×4 scatter rug is ideal on both sides of the bed.